Courtney leads branding, buzz and all that is marketing at Boats Group, overseeing product marketing, digital marketing and channel marketing teams. She modernizes the function of marketing through strategic management of people, technology and data. A creative problem solver and strategic thinker, Courtney has 15 years of experience in digital marketing and brand management. 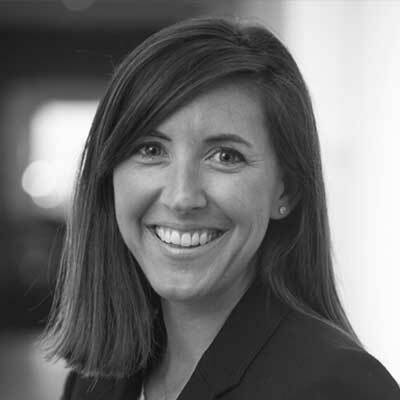 She has worked within the recreational boating industry for over a decade as Boat Trader’s Brand Manager before transitioning to Dominion Marine Media (now Boats Group) as Director of Marketing to lead the global marketing strategy for YachtWorld, Boat Trader and boats.com. Courtney played an integral role on the acquisition team in 2016 when the company was purchased by Apax Partners. Courtney is published in top boating publications, including Boating Industry Magazine and Soundings Trade Only and is invited to speak at industry events across the U.S. She is actively involved in boating industry associations and was recognized in the 2016 Women Making Waves and as the only female Mover & Shaker by Boating Industry in 2011. Courtney is a graduate of the University of Virginia with a B.A. in Digital Media.